My good friend from the city came for a visit with her family last weekend. I haven't seen them for a few months and I was so excited to see them. My tot and her daughter used to play together almost everyday before we moved. I miss taking classes together, strolling central park, going to a nearby museum and so on. She said her daughter talks about my tot a lot lately, so very sweet. We miss them so much too. That's it, we had to make it happen! 2. Make mascarpone cream - add all ingredients and whip until stiff peak forms. 3. 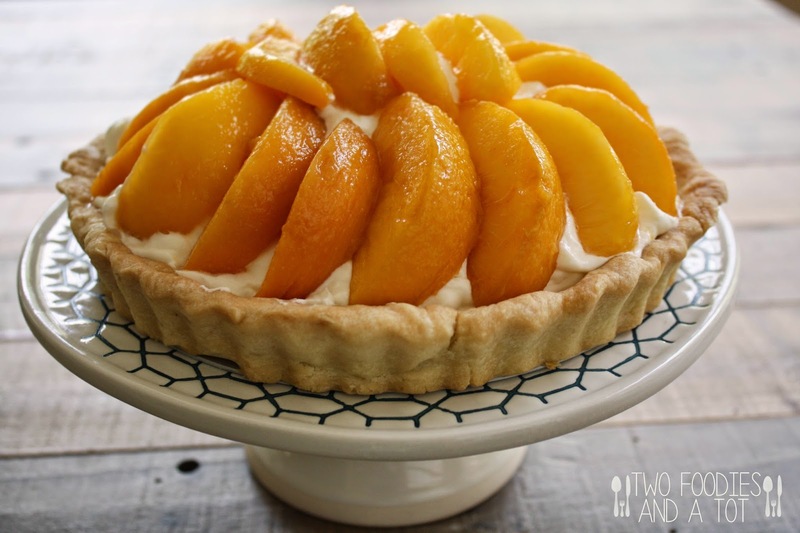 Tip for peeling peaches - Place the peaches in a pot of boiling water for 30 seconds, using a slotted spoon move them in ice water. After 10-15 seconds, with a pairing knife, gently pinch the skin and peel. Skin will just fall right off and you will have perfectly peeled peaches. Slice them into 6-8 pieces. 4. 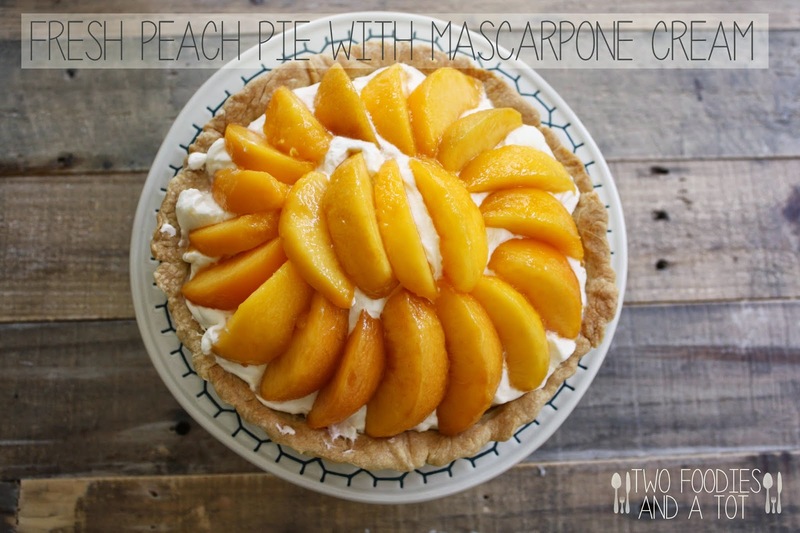 Fill the cooled pie crust with mascarpone cream and top with the peach slices. Serve immediately or chill until ready to serve.